We do not share individual-level genetic data or survey responses with third parties without asking for and receiving your explicit permission to do so, except as required by law. If you have given consent for us to do so, we may include your genetic data and survey responses, stripped of your name or other contact information, in aggregate data that we publish in peer-reviewed scientific journals. Aggregate data is data from multiple users that has been combined to minimize the possibility of exposing individual-level information. Regardless of your consent status, we may also include your data in aggregate data that we disclose to third-party research partners who will not publish that information in a scientific journal. 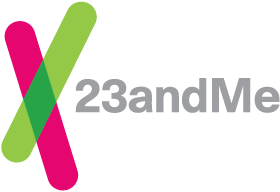 For full details of 23andMe's privacy practices, read our Privacy Statement. Could My Genetic Data Make It Hard For Me To Get Insurance Coverage and What Is The Concordat and Moratorium? How will you safeguard my information?